As a white male, born into a relatively comfortable middle-class family, I didn't have much experience with the systemic injustice in our culture as I was growing up. Not personal experience at least. I did have a run-in with a Texas Christian University Campus Cop who had quite an attitude and cornered me in my car over a parking ticket. But otherwise, I really can’t say I suffered injustice. In fact, I’m quite sure I benefitted from the systemic injustice of our culture indirectly at least—whether I knew it or not, I had certain advantages that others did not. It seems to me that justice is like that—you have to have experienced injustice personally to have much concern for it. Most people like us these days don’t seem to have much interest in justice. We are worried about our jobs, or about our kids, or about where our culture and society are headed. Come to think of it, maybe we are interested in justice after all. 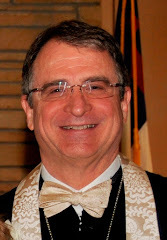 Justice is a concept that is at the heart of the Hebrew Bible. The very essence of what God expects from the people who claim to practice faith is to “do justly and love mercy and walk humbly with our God” (Mic 6:8). I’m not sure we know what to do with that. We think of justice in terms of crime and punishment. It’s hard for us to reconcile justice with mercy, because in our minds they seem to be opposites. But in the Hebrew Bible, nothing could be further from the truth. The practice of justice and the practice of mercy are one and the same. They go hand-in-hand, like faith and hope and love. The Hebrew Bible makes it clear over and over again that justice is about ensuring well-being, or shalom, for everyone. It’s about a way of life that makes it possible to everyone to thrive, not just the privileged few. If you look at key passages in the Hebrew Bible, you’ll find that justice is about lifting up those who have been beaten down. It’s a way of life defined by compassion and generosity (Prov. 22:9). As we saw last week, the Bible gets very specific about this—justice means taking care of orphans and widows, who have no one else to take care of them. It means welcoming immigrants, not hunting them down and chasing them out. It means feeding the hungry, not blaming their bad choices for their lot in life. It’s about supporting the sick with a compassionate presence, and comforting those who are grieving. It is mercy in action. One reason we Christians are so unfamiliar with the concept of justice is because the New Testament doesn’t speak the same language the Hebrew Bible does. For that reason, it’s easy to get confused and think that the Hebrew Bible is a book of Law and commandments and obedience and judgment. We much prefer the New Testament as a book of grace and compassion. But that kind of understanding is a vast misunderstanding. The Hebrew Bible is just as much a book of grace and love and mercy as the New Testament, and the New Testament is just as much a book of obedience and justice. They just use different words to talk about it. It seems to me that the way the New Testament talks about “doing justly” is “you shall love your neighbor as yourself” (Jas. 2:8). Jesus said this was the heart of God’s command. And, in fact, in this Jesus is following the Law, the Torah, of the Hebrew Bible, because he is quoting from one of the Books of the Law, the book of Leviticus. If we were to take the time to look at Leviticus 19, where this command comes from, we would find that loving your neighbor is defined in very down-to-earth terms. For example, loving your neighbor is about leaving the gleanings from your field for the poor (Lev. 19:9-10). It’s about dealing honestly with others (Lev. 19: 13). It’s about honoring the handicapped (Lev. 19:14). It’s about not slandering others, not hating them, and not seeking revenge (Lev. 19:16-18). Sounds like justice to me. When you look at our world, it feels like things are out of kilter. From the workplace to the schoolhouse to the courtroom to the home, it feels like things aren’t quite the way they’re supposed to be. It certainly doesn’t feel like we’re thriving. Perhaps we are in this situation not in spite of all that we’re doing, but precisely because of what we’re doing. If you take a close look at our way of life, I think it’s hard not to conclude that we as a people are sowing injustice. We ought not be so surprised, then, when we reap the calamity that goes with injustice (Prov. 22:8). How do we change things? What can we do to make a difference? What would it look like for us to sow justice in our land instead of injustice? Well, it may sound trite, but I think we won’t go far astray if we follow Jesus’ example. It seems to me that Jesus’ whole life was one of sowing justice—whether it meant healing a gentile woman’s daughter, even though both of them would have been despised by most of the Jewish people of their day. Or whether it meant caring for a deaf mute, who would have been very easy to overlook and ignore. As in the two examples from our Gospel lesson for today, Jesus’ life was dedicated to caring for those who were the least and the left out and the passed over and the shut out. This made him not so popular with the “job creators” of his day and time, but he did it because he was following the Biblical mandate to love your neighbor as yourself. As we follow his example, we will sow justice, and hopefully bring healing to ourselves and to those around us. © 2012 Alan Brehm. A sermon preached by Rev. Dr. Alan Brehm on 9/9/12 at First Presbyterian Church, Dickinson, TX and at A Community of the Servant-Savior Presbyterian Church, Houston, TX. Cf. Gerhard Von Rad, Old Testament Theology I:370, where he says that there is no concept in the Hebrew Bible with so central a significance. Cf. James L. Mays, Psalms, 311, “Righteousness is the rightness that makes for life and shalom; justice is found in decisions and actions according to righteousness,” Cf. 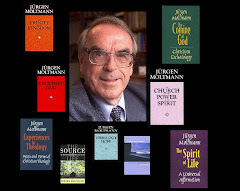 also Jürgen Moltmann,The Way of Jesus Christ, 121: “God’s justice and righteousness brings shalom to both his people and land.” Cf. also J. Moltmann, The Church in the Power of the Spirit, 163-96; Hans Küng, The Christian Challenge: A Shortened Version of On Being A Christian, 293-312. Cf. R. E. Murphy, Proverbs, 167: “riches do not entitle one to establish class distinctions since God created all, both rich and poor.” Cf. also ibid., 261 where goes further: “both rich and poor were created by God, so that mockery of the poor is a blasphemy.” Cf. also Raymond C. Van Leeuwen, “Book of Proverbs,” in New Interpreters Bible V:200. Cf. similarly Luke Timothy Johnson, “The Letter of James,” New Interpreters Bible XII:195, where he says that the actions specified by Lev. 19 (and in the Letter of James) are “incompatible with love.” Cf. also J. Milgrom, Leviticus, 226; Karl Barth, Church Dogmatics 4.2:804. Cf. J. E. Hartley, Leviticus, 322-24, where he explains that Lev. 19 is a call to holy living, and that “Holiness finds tangible expression in loving,” especially in the ways spelled out in this chapter. Cf. also Milgrom, Leviticus, 235-36.